I’m a 33 year old surgeon from Argentina. I always knew I wanted to stay in my country to practice medicine. I know we have the limitations of a developing country and that medicine is not the best paid job here. However, all my family and friends live here, and I know there’s a lot I can do to help the people around me. I never doubted my decision to stay. Still, I know that you need to look beyond your own horizons to make sure your direction is the correct one. And by this, I mean that you always have to make sure that whatever your decision in your career is, you are making a conscious one. This happened to me at different levels and in different moments of my career. Choosing a specialty: when studying medicine in Argentina, you sign up for only one specialty at the time you take the test to enter residency. So it was a huge decision to make. Before I made it, I remember visiting different services at different types of hospitals and talking to the residents and attendings. I needed to make sure they had the life I’d like to have, did things I´d like to do, and that they could pursue the goals I was pursuing. It was an incredible opportunity to learn about myself and make one of the most important decisions of my life, to become a general surgeon. Choosing a sub-specialty: as years in residency go by, you need to choose a second specialty (unless you want to go with general surgery for life, you need to define a sub-specialty). For this matter, I had an “elective” rotation in my residency program. I made sure to choose the best local places, and those I could have an opportunity to get into. Finally it happened, and I got into my own hospital’s program for Breast Surgery and Oncoplastics. Going away and coming back home: There are lots of opportunities to learn from the “giants” and try to be better at our own practice. Once I finished my second residency, I had the chance to visit MD Anderson Cancer Center (MDACC) in Houston, TX and the European Institute of Oncology in Milan, (IEO by Italian acronym) I learned a lot from both experiences, and I was able to bring “new” experiences/skills home. 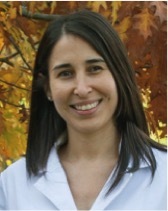 Dr. Maria Julia Barber is a General Surgeon and a Breast Oncoplastic Surgeon. She earned her Medical Degree at the Faculty of Medicine of the University of Buenos Aires, where she graduated with Honors. She was also an Assistant Professor of Anatomy for 6 years, teaching the students, creating prosections for anatomy courses, and training other Assistant Professors. She completed a 4-year residency program in General Surgery, plus 1 year as a Chief Resident and a second 2-year residency program in Breast Surgery, plus 1 year of Residents Instructor. She is now attending surgeon at the Breast Center of the Austral University Hospital in Pilar (Buenos Aires Province, Argentina) and a member of the Argentinian Society of Mastology. Dr. Barber is also a member of the Argentinian Association of General Surgery. Her academic/research interests include Oncology, Oncoplastic Surgery, and Patients Quality of Life. She is the only MD in a really big family, and even when that sometimes can be a big burden, she honestly enjoys their crowded reunions and the big family life.